Broccoli Cheese Dip is a warm and cheesy dip with lots of mozzarella and cheddar cheese and a buttery cracker crumb topping. 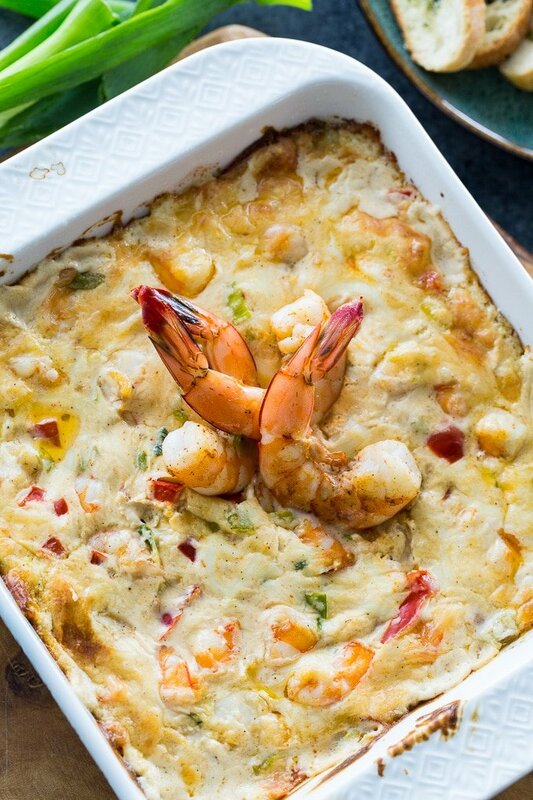 It tastes so good with Frito chips or on toasted baguette as an appetizer. Does it get any better than broccoli and cheese? I think not. 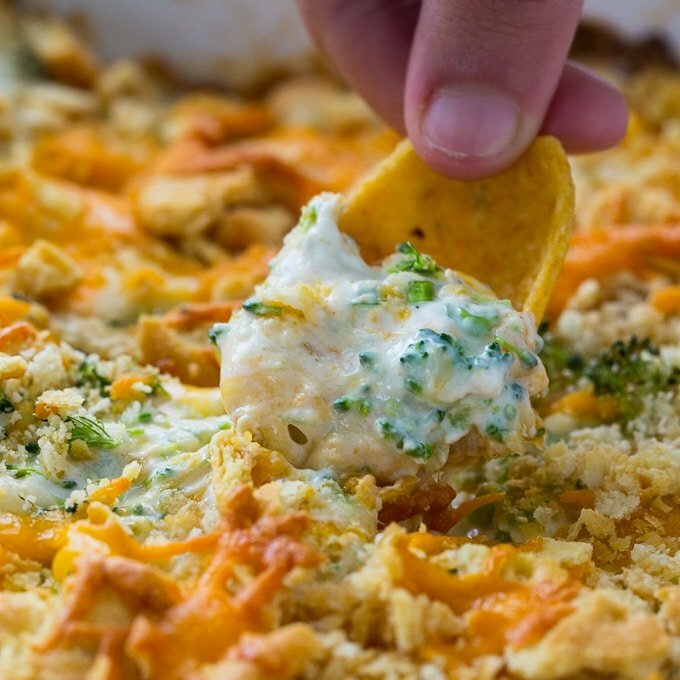 This Broccoli Cheese Dip is an unbelievably delicious party food. The broccoli gets cut up into very small pieces so there’s no need to cook it first and it gets wonderfully coated in creamy, cheesy goodness. For seasoning, I add garlic powder, onion powder, a little Cajun seasoning, and a few red pepper flakes. The latter two make it a little spicy. If you don’t want it spicy, I suggest you leave one or the other out. 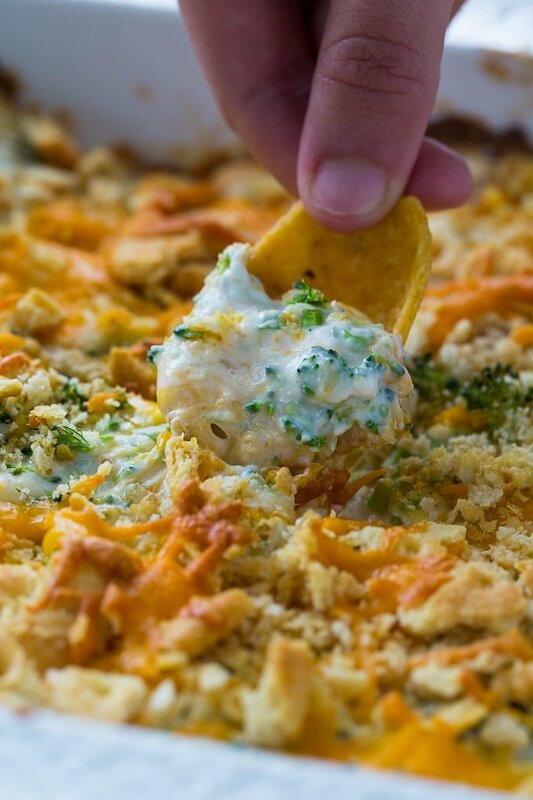 This warm and cheesy dip is perfect for parties. Get it all mixed ahead of time and pop it in the oven before your party begins. It only takes 25 minutes to bake and then you are in cheesy heaven! 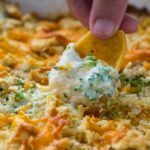 Another great party dip to try is this Buffalo Chicken Dip. 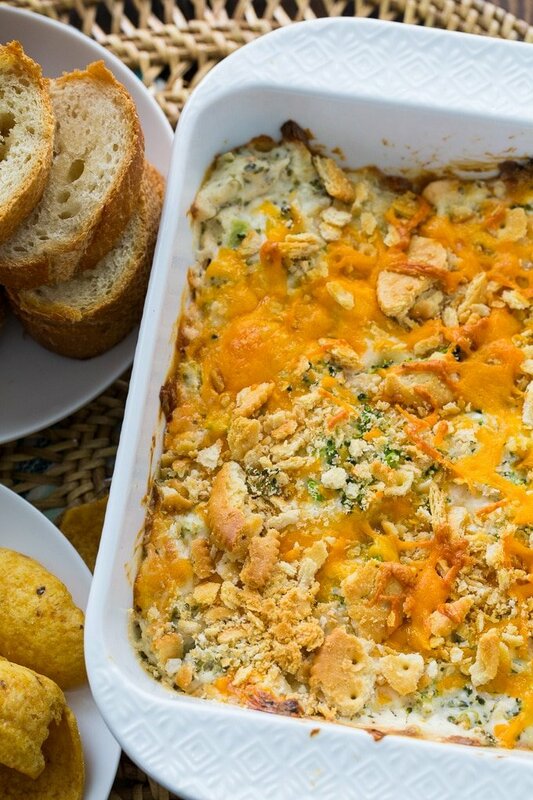 Broccoli Cheese Dip is a warm and cheesy dip with lots of mozzarella and cheddar cheese and a buttery cracker crumb topping. Preheat oven to 375 degrees and lightly grease an 8-inch square baking dish. Combine cream cheese, sour cream, mayonnaise, garlic and onion powder, cajun seasoning, and red pepper flakes in a large bowl and mix with a hand held electric mixer until smooth. Stir in broccoli, mozzarella cheese, and cheddar cheese. Transfer mixture to prepared dish. Sprinkle cracker crumbs on top. This entry was posted in Appetizers and tagged broccoli. Bookmark the permalink. Can I simply say what a comfort to find an individual who reaⅼly understands what they aгe talking about online. Mayo is not listed as an ingredient and yet is listed in the instructions. Which is correct? Love you added broccoli to give a healthier note ! Thank you so much!